Are you tired of waiting in long lines, and dealing with too many fees and minimum requirements? Opening a checking account with an online bank could be your solution. Today, almost every bank offers online banking options, but did you know that there are banks that solely operate online, with no actual branch locations? These banks offer most of the products you find at traditional banks- checking, savings, CDs and money market accounts. A few even offer mortgage products! Without the overhead of physical locations, online banks can pass the savings to their customers, who will enjoy lower fees and added benefits, including protection from bank fraud. The APY will also be higher than traditional banks. >> MORE: The BEST No-ChexSystems Bank. No Credit Checks, No Minimums, No Monthly Fees, and a Free Visa Card! Why Select Online Banks Over Traditional Banks? Many have no bank fees, and most offer reimbursement for other bank fees. Just make sure the bank is FDIC insured, usually $250,000 in coverage at traditional banks. Consumers love the convenience of doing their banking from anywhere with a few simple clicks. Most online banks offer the same banking products that you can find at traditional banks. Most online banks include checking, savings, CDs, and money market accounts. High Rates. Generally, online banks tend to offer bank account and CD rates of 0.5% or higher, which is more than what most traditional banks currently offer. Low Fees. Because of reduced overhead costs, there are usually low fees, or even no fees. User Friendly. Most online banks also have mobile apps, and a user-friendly interface, so you don’t have to be super tech-savvy. Difficulties with Depositing Cash. 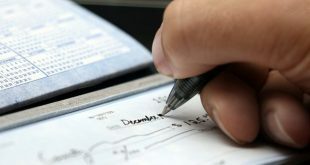 Customers who regularly deposit paper checks or cash may face some inconveniences. You can get around this by depositing funds in a traditional bank, and then transferring funds to your online bank to take advantage of high APY rates. If you usually go to the bank to deposit paper checks, you will save yourself a trip by making mobile deposits via smartphone, where you take a picture of the front and back of the check. Withdrawing money is easy; just go to the preferred ATM locations for your online bank. Limited Product Offerings. If customers are looking for home loans, personal loans, or brokerage accounts, the choices are limited. No Personal Interaction. This is not a problem for most people. You save a trip to the bank, and if you need customer service, you can contact an agent by phone or chat. Below, we’ve put together a breakdown of some of the best online banks. Make sure you check out each one based on your situation. Unlike most other credit unions, Alliant makes it easy to become a member. If you don’t meet its other eligibility requirements, you just have to make a one-time donation of $10 to an Alliant-affiliated nonprofit. And with this checking option, you’ll have access to over 80,000 surcharge-free ATMs and can qualify for a 0.65% APY if you opt out of paper statements and have at least one electronic deposit made to your account each month. Alliant doesn’t participate in shared branching and doesn’t have many physical locations, so you’ll probably have to take care of most tasks online. That may not be an issue, though, because Alliant’s digital tools are better than those offered by most other credit unions. Nonsecure messaging via a form on the main Ally website. The option to reach out to Ally on Twitter. Ally also offers a great digital experience, with all the essentials of online banking covered in an easy-to-use package. Customers can even conduct their banking business on Amazon Kindle, a rarity among online-only banks. 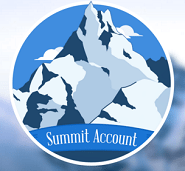 Although Aspiration is a financial firm, not a bank, its Summit Account functions much like a standard online checking account. Deposits are FDIC-insured, and there’s no monthly fee or minimum balance requirement. But Aspiration’s interest rates separate it from the pack: Balances of at least $2,500 earn an annual percentage yield, or APY, of 1%, while smaller balances earn 0.25%. You’ll also get unlimited ATM fee reimbursements worldwide. Along with its outstanding APY of 0.76%, Bank5 Connect gives members access to thousands of free ATMs and reimburses up to $15 per month in fees racked up at other banks’ ATMs. 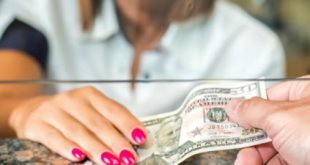 It has strong mobile banking apps and low fees: There’s no monthly service fee, and the $15 overdraft penalty is well below big banks’ national median of $34. You’ll have to put down $10 to open an account and maintain a balance of at least $100 to earn interest. Bouncing a check, however, will cost you $9, no matter which overdraft option you choose. The 360 Checking account also offers excellent online and mobile tools and fee-free access to almost 40,000 ATMs. Schwab Bank High-Yield Investor Checking provides unlimited fee rebates on ATM withdrawals worldwide. The account is free, and there’s no minimum deposit requirement. It also offers online bill pay and a mobile check deposit service, and it comes with a brokerage account. Discover Bank’s checking account lets you earn cash back on certain purchases and you’ll also have access to 60,000 free ATMs. With Discover’s Cashback Checking account, you’ll get 1% cashback on debit card purchases of up to $3,000 a month. Radius belongs to a network of more than 7,000 cash machines, and it doesn’t charge out-of-network ATM fees. You’ll also get unlimited refunds for fees charged by other ATM owners. The Hybrid account has an annual percentage yield of 0.85% if your balance is $2,500 or higher. Because Radius has only one full-service branch, you’ll have to be comfortable banking online. Instead of making spending decisions based on your available balance, a figure that can be misleading, Simple users can check their Safe-to-Spend number. It’s an estimate of the amount you can afford to spend based on your balance, upcoming bills and savings goals. Withdrawals within the massive Allpoint ATM network are fee-free, and there’s no overdraft fee. This account comes with 10 free withdrawals monthly from 60,000 “USAA-preferred” ATMs. USAA, which is available to active and former military personnel as well as their eligible family members, also reimburses up to $15 in other banks’ domestic ATM fees per month. It has only a few branches, so you’d probably wind up doing the majority of your banking on your phone or computer. Next Which Is Better: A Bank Debit Card Or A Prepaid Debit Card?